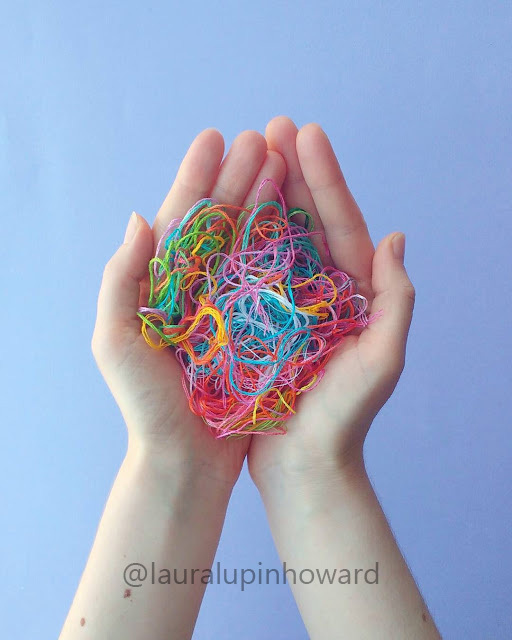 It's such a creative way to use up every last bit of thread, and it is so wonderfully done! 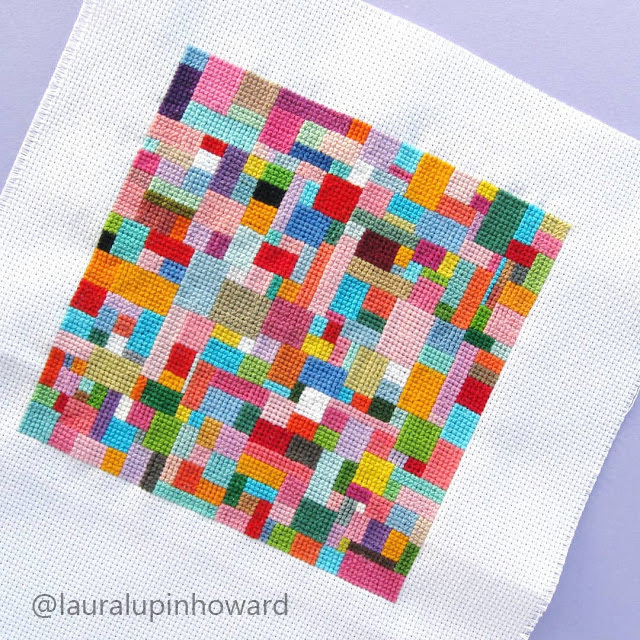 For more on her process, including a plan of her design, visit her blog post: Creating Patchwork Cross Stitch from Leftover Embroidery Threads. 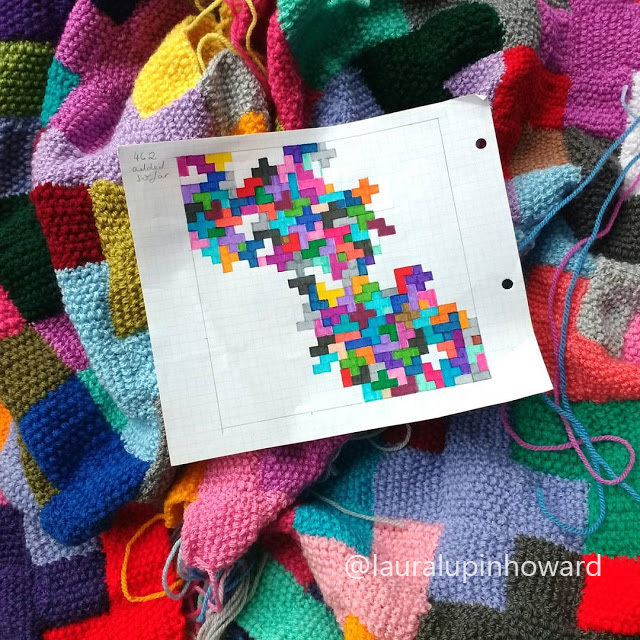 I adore Laura's use of color and creativity, thank you Laura, for allowing me to share your projects here! For more on Laura, visit the links below! For those of you who haven't yet entered our giveaway, you have a few more days - since I have not quite finished my Project a Month - so head on over and enter!